The Waldorf offers freshly painted 2 bedroom suites with hardwood & ceramic flooring throughout, fridge & stove included. Utilities are included (Heat, Hot Water & Hydro). Our modern laundry facility features a Smart Card System and is open 24 hours. Bicycle storage available. We offer 24 hour emergency service & on-site staff. Indoor & outdoor parking available. The building is located on Somerset St. just east of Elgin St. “Walkscore.com” considers the area around the Waldorf the most walkable neighborhood in Ottawa and notes that most daily errands can be accomplished without a car. Steps from the building you will find Starbucks, Second Cup, Bridgehead, Dunn’s Famous Deli, McDonald’s, Wendy’s, White Cross Pharmacy, grocery stores (Loblaws & Hartman’s), multiple dry cleaners, tailors, banks and salons. Short walk to City Hall, Ontario Courthouse, Parliament Hill, NAC and Rideau Centre. If you do need a vehicle from time to time, there are 3 "VRTUCAR" Stations conveniently located within a block of the building. Please call or email to arrange a viewing and be sure to visit our website so you can experience our virtual tours, photo gallery, floor plans and start your application process all online. 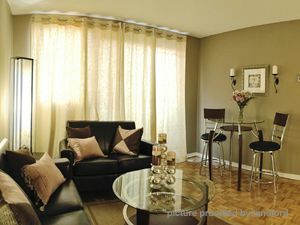 Visit www.uproperties.ca for more details. *See also: ViT#B7417 for other units with this owner. Other Information: No-smoking policy in effect – ask for details, No pets please, Crime Free Multi-Housing Program – Certified Member, We offer pre-authorized debit for easy and convenient rental payments.